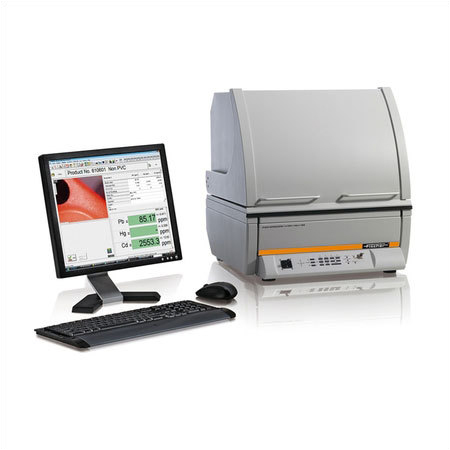 These are operated using the powerful and user-friendly WinFTMÂ® software, for entire operation and evaluation of measurements as well as the clear presentation of measurement data is performed on a PC. Measurement distance:0 â¦ 80 mm (0 â¦ 3.1 in) Distance compensation with patented DCM method for simplified measurements at varying distances. For particular applications or for higher demands on accuracy an additional calibration might be necessary. Video microscope High-resolution CCD color camera for optical monitoring of the measurement location along the primary beam axis,manual focusing and auto-focus, crosshairs with a calibrated scale (ruler) and spot-indicator,adjustable LED illumination, laser pointer (class 1) to support accurate sample placement. Focusing Auto-focus and manually controlled motor focus. Repeatability precision XY unidirectional: â¤ 5 Î¼m (0.2 mils) max., â¤ 2 Î¼m (0.08 mils) typ. Approval Fully protected instrument with type approval according to the German regulations "Deutsche Rontgenverordnung-RoV".